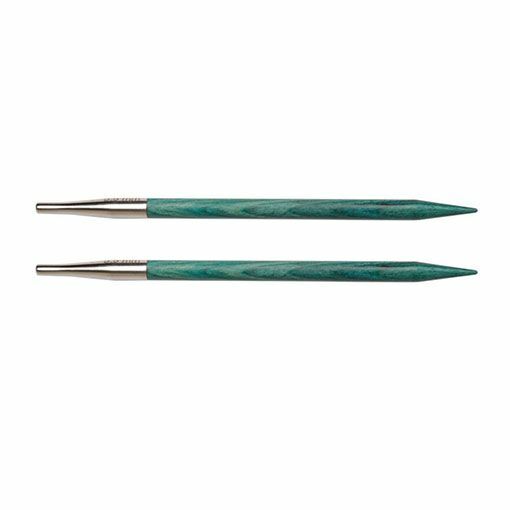 If you knit a lot of hats then these are the interchangeable knitting needle tips for you. The Knitter's Pride Dreamz Special Tips are designed to produce circulars that measure 16" in total length. 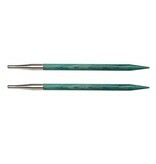 Each wooden needle tip measures 4" and is to be used with a cord that measures 8" for a perfect 16" circular needle. 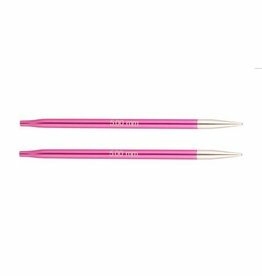 These needle tips come in a range of delightful colors for ease of needle size identification.